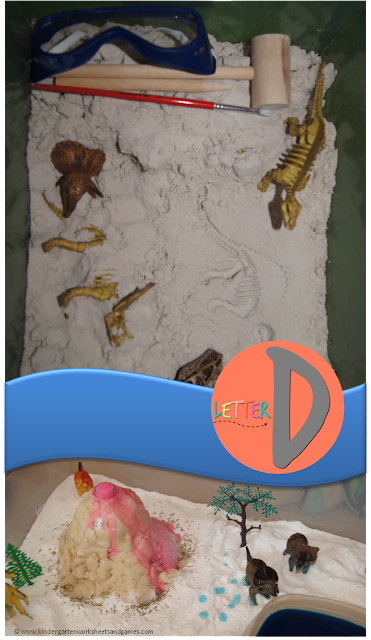 This Letter D week is such a fun way for preschool, prek, and kindergarten age kids to learn about dinosaurs and so much more. This Letter D theme of d is for dinosaur is such a fun, creative hands on unit to help kids learn while having fun. Using brown paper bags or socks make dinosaur puppets. Glue spikes, horns, teeth, and legs from construction paper. Make a Dinosaur D out of craft foam. 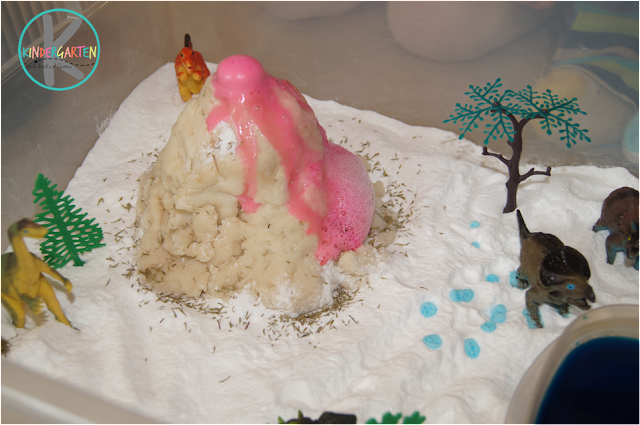 Today your children get to explore the effects of mixing baking soda & vinegar to create a [volcanic] eruption! For complete Dinosaur Science Play pictures & instructions. You will want to have dinosaur figures, lots of baking soda (think 4+ cups; inexpensively bought at Walmart), several cups Vinegar, and food coloring (optional). Paint two empty Kleenex boxes. Add dinosaur toe nails. Have your child put on the boxes so they can walk around in dinosaur feet. 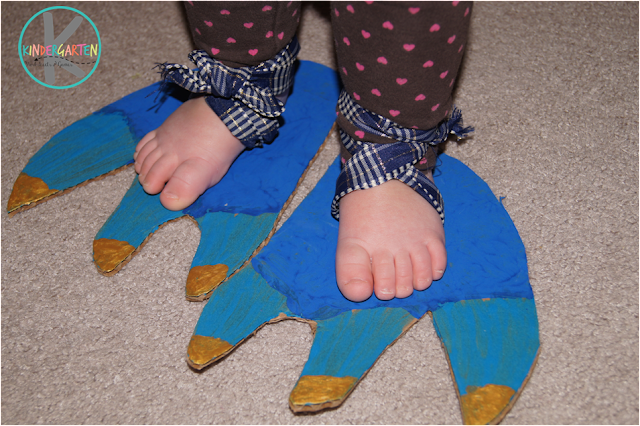 You can have them measure things in dino footprints & human footprints to get practice using a ruler/tape measure. Preheat your oven to 375 F. Mix together: First add 1 egg. Next put in 1 cup peanut butter. Finally mix in 1 cup sugar. Drop on cookie sheet & flatten with bottom of glass. 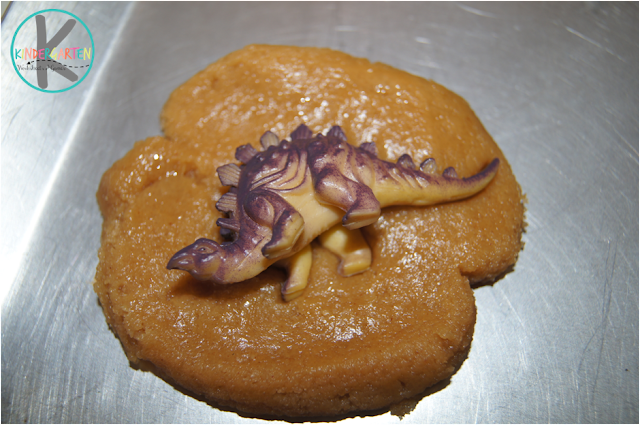 Press a small (clean) dinosaur figure into the dough to make a dinosaur fossil. Bake 8-10 minutes. Allow to cool slightly before removing and eating.